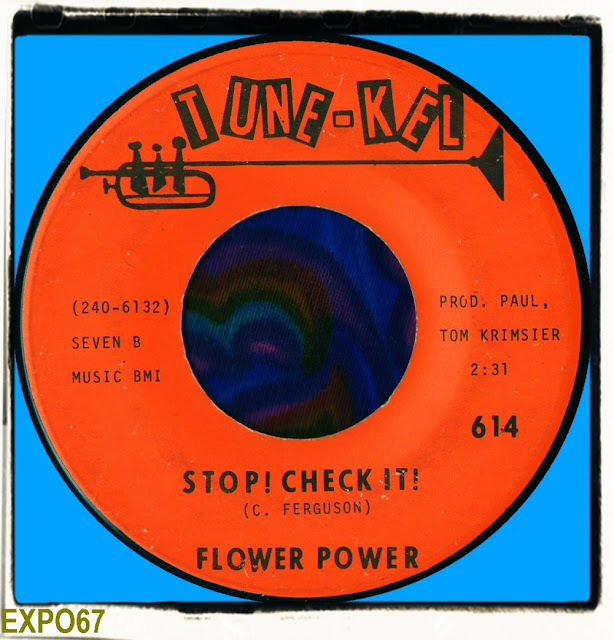 THE FLOWER POWER - STOP! CHECK IT! 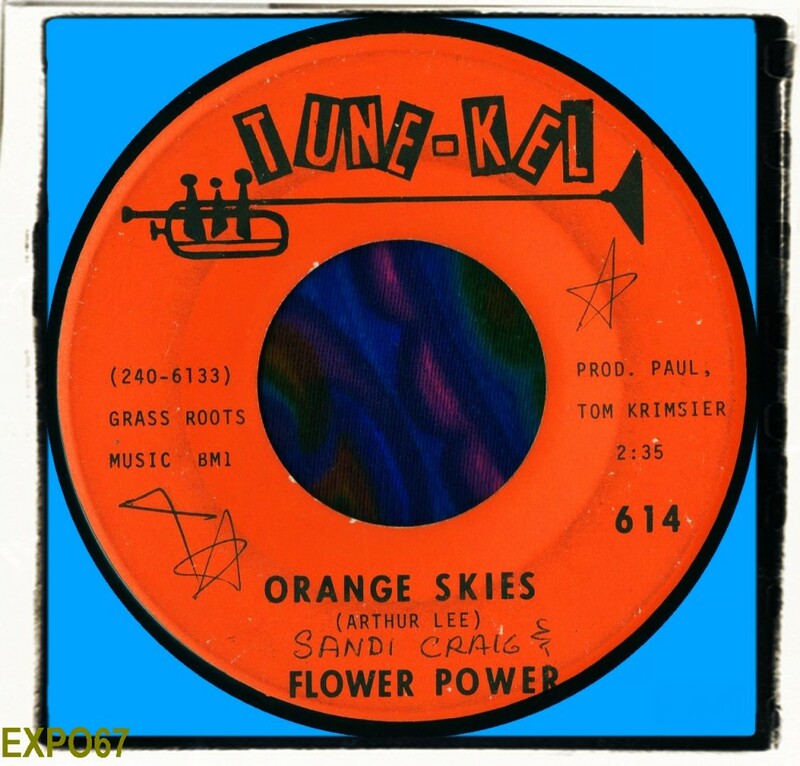 It seems that by the final Flower Power release the focus of attention was firmly on their lead singer Sandi Craig. 'Orange Skies', originally recorded by Love seemed an odd choice for a single. Someone has written on the label 'Sandi Craig &'.....The Flower Power. An obvious reference that management or the record label wanted her to be known as the front person. 'Orange Skies' is a noteworthy effort, I've always loved the song anyway, so to get to hear it performed and arranged in a slightly different way appeals to me. I don't know how the 45 was received or if it sold in any quantity. I'm just hoping that someone gets in touch with more information about The Flower Power. They were obviously a talented outfit. Shame they didn't record an album. Maybe unreleased material lies in someone's archives? The flip 'Stop! Check It!' sees the group loose and heavy with a powerful instrumental full of fuzz and wah wah. This is where it's at for me.....late 60s underground coolness. Since I wrote my Flower Power entries I have been contacted by former member Joe Rolison who kindly sent me the following information about his psychedelic group. "The Flower Power formed in October 1967, I was 15. The band came together from members of popular local bands. Craig Ferguson, guitar and lead vocal from The Soul Survivors, Robert Weathersby, guitar and Gregg Giuffria, organ from The Telstars. David Mcintosh and Sandi Craig from Sandi and the Gang Band, Joe Rolison from The Varments on bass. Our age was from 15 to 17 years old. We played local gigs on the Mississippi Gulf Coast. Soon after we met Tom and Paul Kaimser in New Orleans looking for gigs in the parking lot of WNOE Radio Station. After hearing a demo tape we made they became our Managers, Tom's father in law, Joe Banasak, owned Tune-Kel and we signed a contract with them in early 1968. The first single,'Bye Bye' was recorded at Cosmos Studio in Nola. The line up was the original as mentioned. David Mcintosh left the band and was replaced by Johnny Rand from The Soul Survivors. Robert Weathersby also left and was replaced by Randall Currie also ex Soul Survivors. The next two records were with this line up. We did a lot of shows as an opening act with the Krimser Management as a back up band for B.J.Thomas. We also performed shows with Jimi Hendrix, Sly and the Family Stone and many others. 'Mt Olympus' was recorded with this line up. Randall Currie left the group in August 1968 and was replaced by Ted Tierce from The Substantial Evidence who had a single called 'Death Angel' and were popular in the region. Johnny Rand left the band and was replaced by Dickie Burnet on drums early 1969. Ted Tierce left after 5 months and we decided to stay as a five piece. In July 1969 we went to Houston. Texas to open for The Nazz, Todd Rundgren's band. 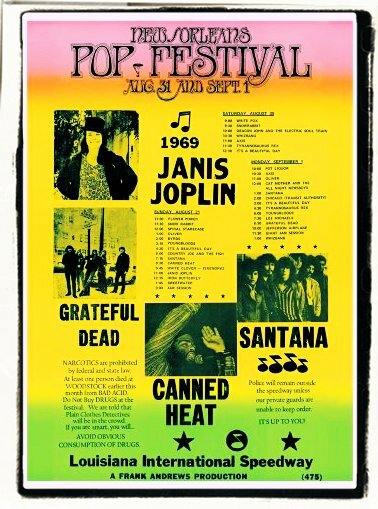 On Sunday, August 31st we were the opening act at the first New Orleans Pop Festival, a two day event with Janis Joplin, Santana and The Grateful Dead plus many more. We recorded a lot of material in Houston, Texas, nothing released and the songs were never mixed but there was some test pressings on vinyl. Sadly, I don't have one. The Flower Power rolled on into 1970 and played the second Atlanta Pop Festival in Georgia that July. This was the last gig we played together. I played locally until 1985. 'Orange Skies' has been compiled on a 'Sixties Rebellion'.....it's the one where they compile a full albums worth of cover versions. Yes I've got that album as well (with a neat cartoon of Arthur on the cover! ), my favourite Love cover is the startling take of "Signed D.C." by the mighty Fallen Angels.